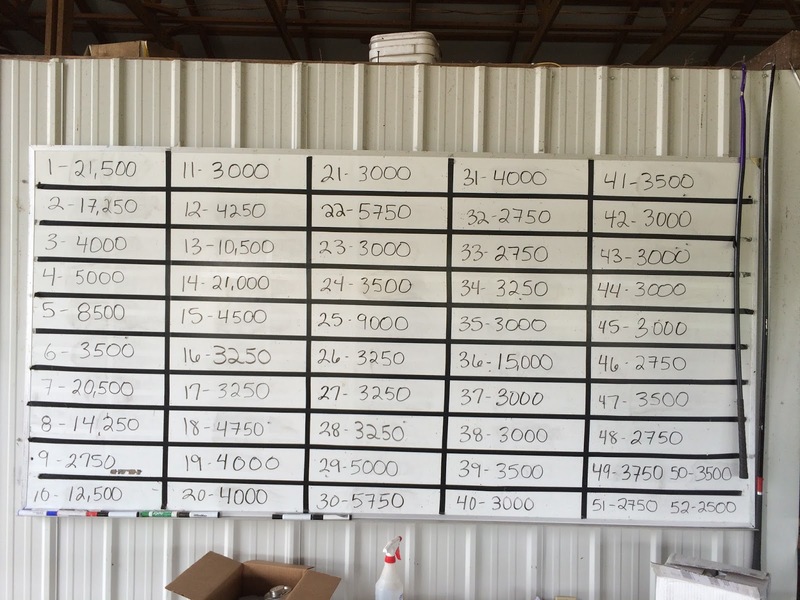 Picture of the bid board as of 10:00 pm Sunday, August 30, 2015. 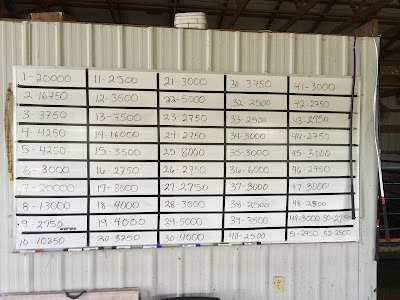 Picture of the bid board as of 9:00 am Sunday, August 30, 2015. 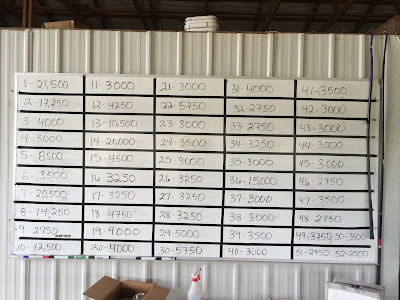 Picture of the bid board as of 11:00 am Saturday, August 29, 2015. 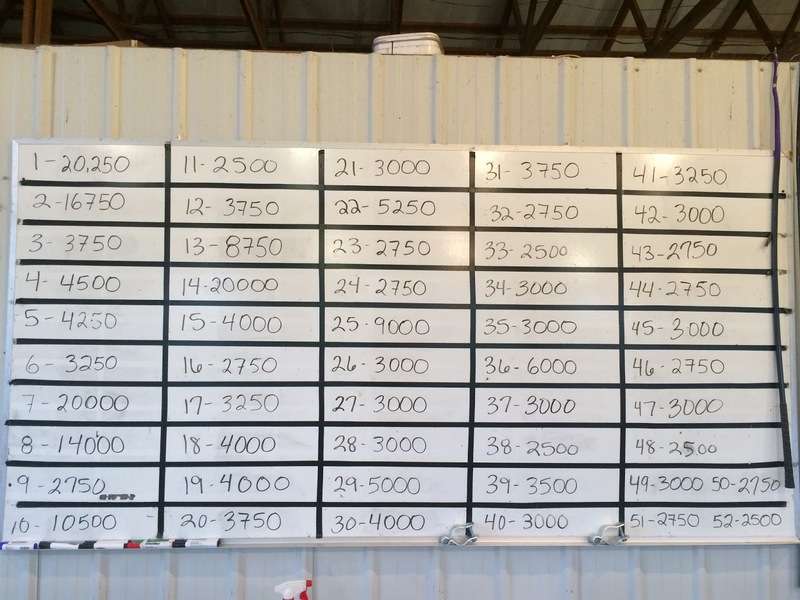 Picture of the bid board as of 8:00 pm Tuesday, August 25, 2015. 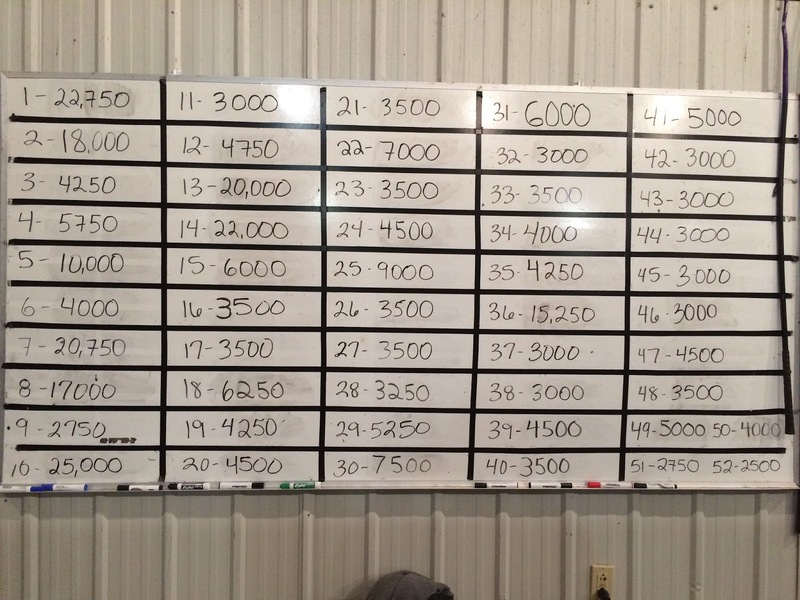 Here's your first bid board update. 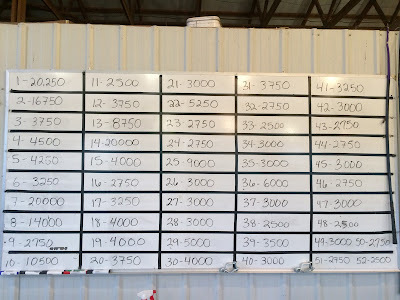 We will continue to update once daily until we get closer to bid's closing and then we will update throughout the day. Make your plans to visit the farm and check out a great set. If you have any questions don't hesitate to contact us. We hope to see you before September 13th. 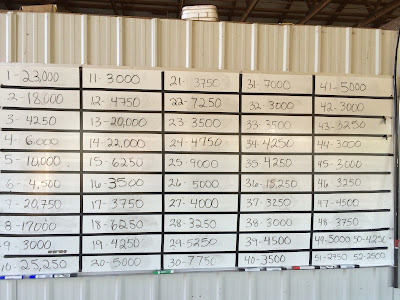 It’s been a very busy spring and summer around Schaeffer Show Cattle this year and we quickly find ourselves spending long hours and late nights in the show barn preparing fifty-two calves for the 2015 Schaeffer/Tice Pasture Sale. We’ve already put a lot of thought into this years set and we’re excited to offer them to you! 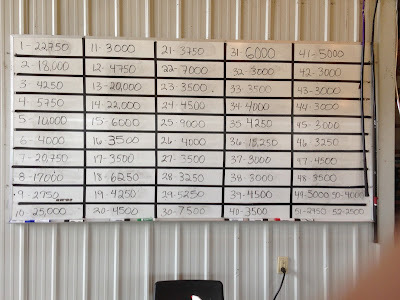 Pictures have gone up on the Schaeffer Show Cattle webpage (www.schaeffersimmentals). You can find information under the ‘For Sale’ tab. We will be posting the remaining pictures and videos on all cattle on the website in the next few weeks. 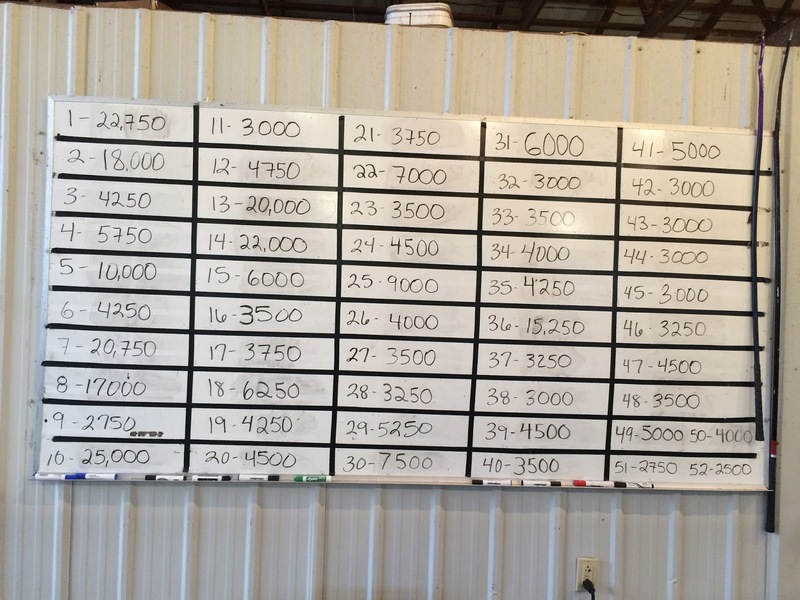 Bids close this year at 6:00 pm Sunday, September 13th. 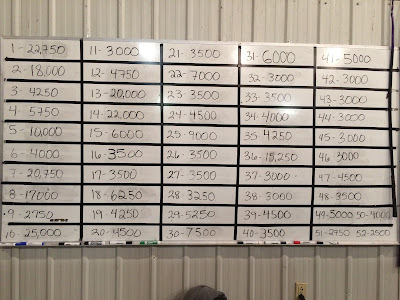 We will then phone bid them off starting with the highest bid on the bid board. 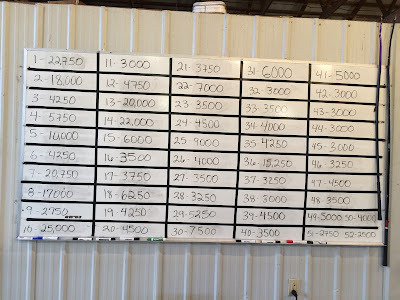 We will post once daily updates of the bid board through the blog. As it gets closer to September 13th we will update more than once a day. 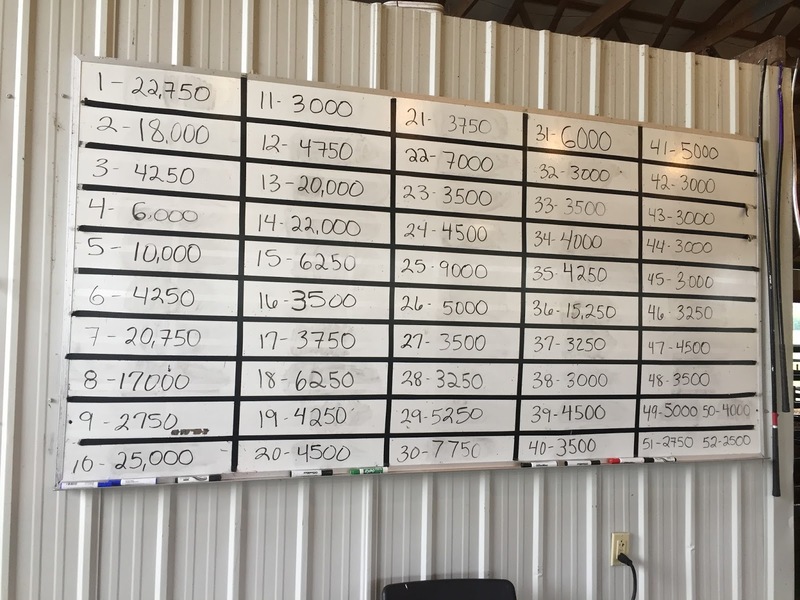 Our barn is open and cattle are available for viewing. 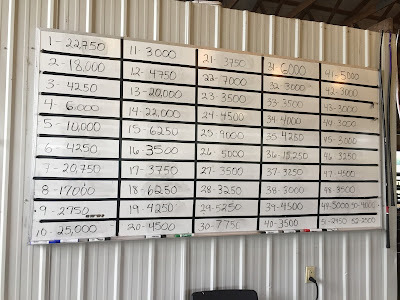 If you should have any questions, would like to discuss the cattle further, or need to make arrangements for viewing the cattle please feel free to contact Tim Schaeffer or Kyle Lemmon. We’ve come off one of the best years we could imagine in the show ring and we have our customers to thank. We have really enjoyed our customer families that have become such close friends. We would like to thank you for believing in our program each year and the hard work that you put into your investments. We would like to take the time to say how much we appreciate our parents. They have supported us from the beginning and we have them to thank for our success. 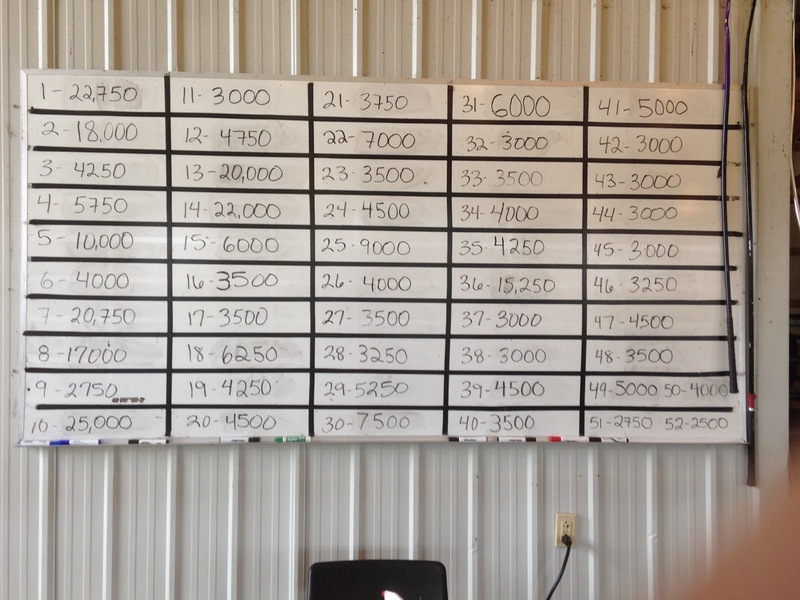 We would also like to take the time to introduce some new and reintroduce some old faces at Schaeffer Show Cattle. When you come see the set we have to offer this year you’ll understand how much time this group of people have put into the cattle. We cannot thank them enough for all the work they have already put into this operation. 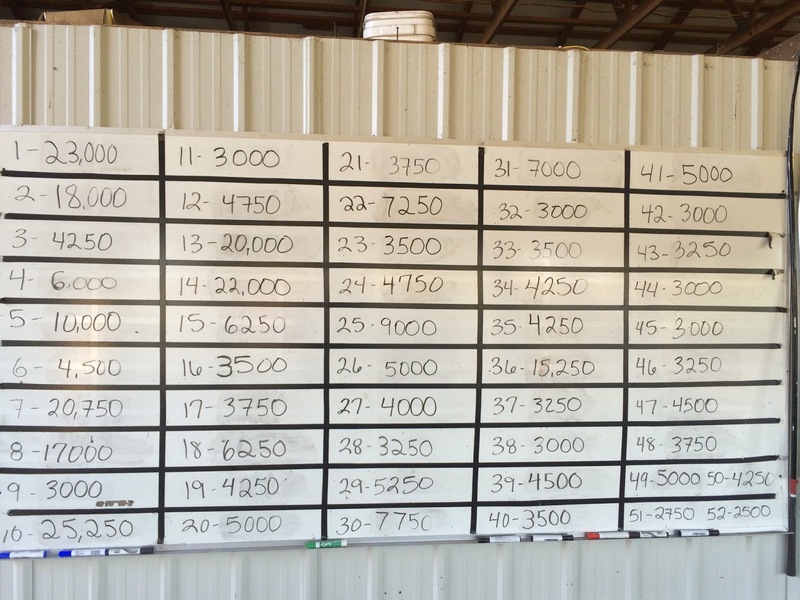 These people have become part of our close-knit family and we appreciate their efforts at Schaeffer Show Cattle. 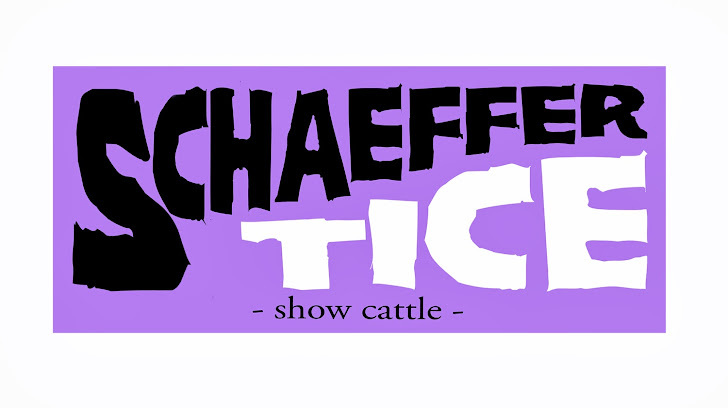 Zach has worked for Schaeffer Show Cattle during the sale and at many shows over the years. Zach will as well be joining the team full time and we are excited to have him around more often. Tyler is from Rushville, Indiana and is a summer intern at Schaeffer Show Cattle. Tyler currently attends Western Illinois University in Macomb and is studying Ag Business and Animal Chiropractics. Tyler plans to pursue a career in pharmaceutical sales/animal chiropractics and continue to raise show cattle on his family operation. Aaron is a summer intern at Schaeffer Show Cattle. Aaron currently attends The Ohio State University-ATI in Wooster, Ohio studying Animal Science and Ag Business. Aaron has shown cattle and hogs at the county fair, through the BEST program, and at the junior national level. Jeff has been part of the sale and show team for many years. Jeff is the mold that holds all of us together in the craziest and busiest of times (and we all know what kind of job that is)! Nate Tice- Tim and Nate grew up together in Pennsylvania. They have worked on cattle together since they were kids with big dreams. 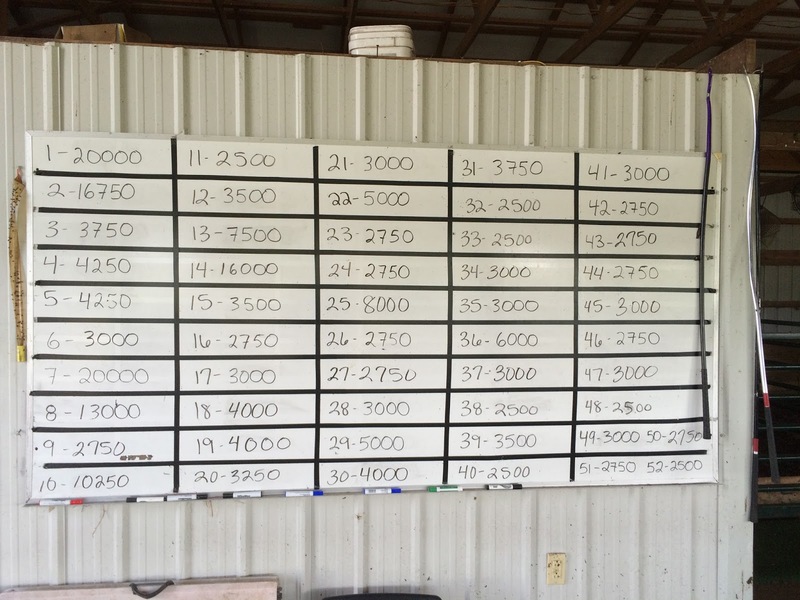 Nate has been a business partner since we started our pasture sales in Indiana. 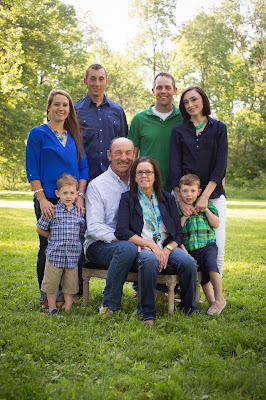 From the entire Schaeffer Family we hope to see you before September 13th!